Rochester&apos;s premier eye care facility. We are here to support you through every step of your eye care needs. Eyesite is a comprehensive eye care facility that focuses on all the various components of eye care. 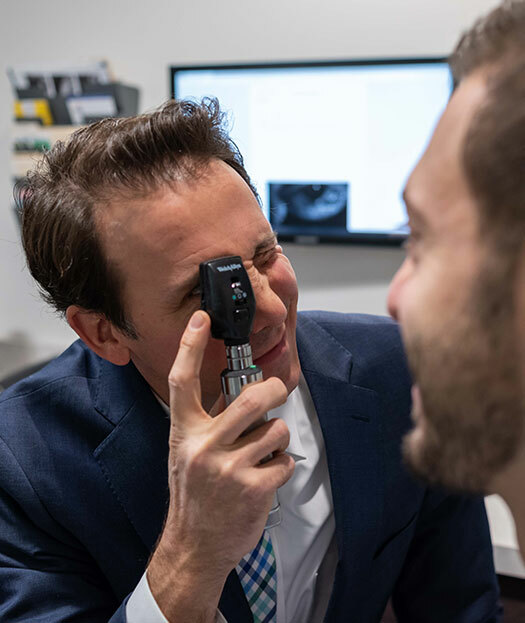 By incorporating the latest diagnostic and treatment technologies and staying up-to-date on the latest eye care advances, we make it a priority to deliver the very best patient experience. Every patient has a different eye care concern and we make sure to take the time to understand and solve it. Our thorough routine and medical care, condition diagnosis, and treatment plans ensure that our patients will be educated about their eyes and vision. Our contact lens services will have you seeing and feeling great about the type and brand you are wearing. Our experienced opticians will help you find the frame style and lens design that fits your style and budget. We understand the important role that proper visions plays in our lives. Our doctors specialize in all types of eye conditions, from common visual ailments to difficult-to-diagnose disorders. We believe everyone deserves the best view of life and our advanced eye care will ensure you won’t miss a moment. We specialize in the treatment of chronic dry eye syndrome. As an independently owned business, there is no limit to the styles, brands, and types of eyewear we carry. We’re dedicated to providing the largest selection of brands and styles in the Rochester area. With Eyesite, your eyewear will fit both your lifestyle and your style. We offer a wide variety of eyewear options to suit your needs. Whether you work at a desk, adventure on the weekends or just need dependability, we will fınd the perfect option for you.